On Epiphany it is a custom to make such markings on doors in Germany. The numbers, are sometimes written as “20+12”, representing the year. 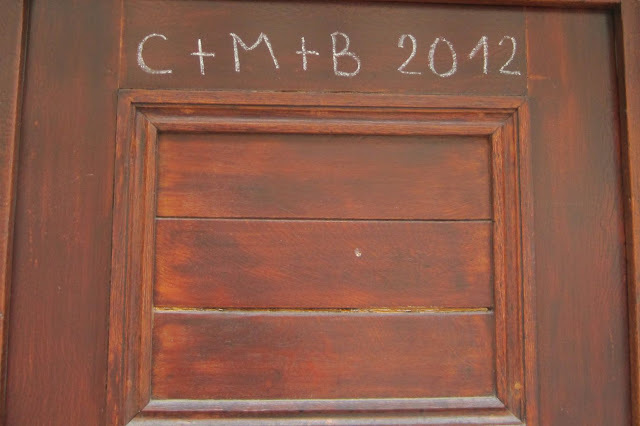 And the letters, “CMB”, stand for the 3 Magi: Caspar, Melchior, and Balthazar. It is considered a blessing to receive the numbers and letters on your door and are left until completely faded.